Don’t think pcTattletale is right for you? We understand pcTattletale is not perfect for everyone. We also understand that you do not want your recorded data being access by anyone ever. Closing your account is easy. Once you close it nobody can sign and your devices’ data is erased forever. 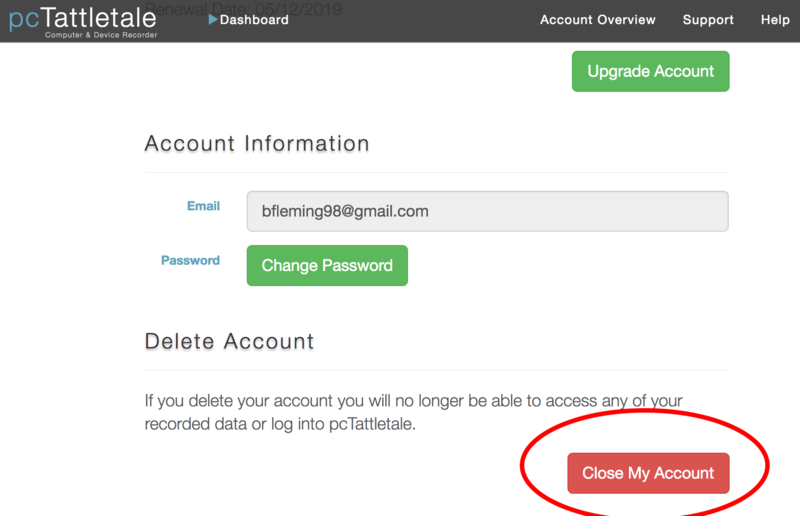 Just follow the simple steps below to close your account. Once your account is closed nobody can sign into it. All of your devices will be deleted and the recorded data will be erased forever. If you need a refund make sure to read our refund policy.